* And reticulation wire baskets, only to mention of few of our systems. 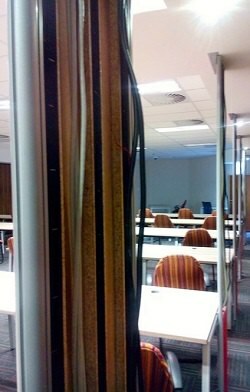 The cable reticulation systems for office and home are designed for maximum flexibility and minimum exposure. The systems are developed for boardroom tables, office desks and high-end computer workstations, and can be fully customized and designed for reception areas as well as larger boardroom applications, conference venues and even canteen and waiting room areas. The reticulation systems can also be designed where access is required from both sides of the unit. Power poles upholstered in any colour with fabric. The power pole and inner panel reticulation systems are made to any height required. Please feel free to contact one of our dedicated staff members for prices.